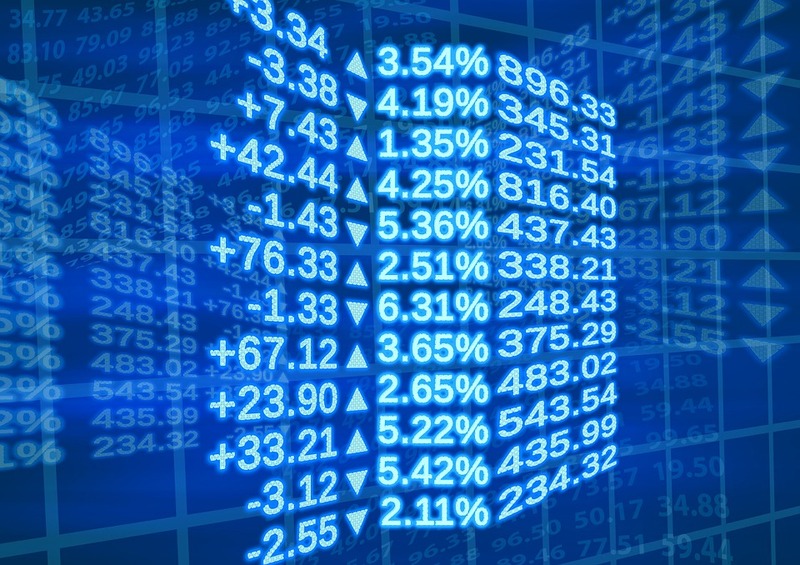 The stock market has been on a roller-coaster ride the last two weeks but has shown some support. We still see a downtrend but we're going to let the market tell us what it wants to do next and we'll tell you what we're watching. The S&P 500 ETF SPY (NYSEARCA:SPY) closed yesterday just below June 25th's open when we turned cautious. That's when trade war news intensified. Since then China's vowed to strike second, not first. Looking at the sequence of potential events, striking second could give the market a break from trade concerns for a few months. "Mr. Trump's threat to levy tariffs on another $200 billion also won't be ready to put into effect until the late fall because the U.S. has to clear a number of procedural requirements." That can act as good news especially since China said they will not strike first. If China has to wait for the fall for the next round of tariffs this trade war escalation could go on vaca. So as China answers the current US tariffs, The US will not yet be able to implement the next round until the fall. That would mean that the tariff part of this story could take a break which could be good for markets. We want to watch the stock market to see what it wants to do. For now we think we are still in a downtrend and so don't want to say the market is turning up until we see it actually turn up. We also see big resistance overhead as we drew in the chart. Fundamentally a great case can be made that stocks should go down based on the trade war but so far the stock market is holding up very well. We don't want to think we can outsmart the market but rather want to try to understand where it's going. When looking at markets you want to integrate what the market's saying it wants to do with the news that it's fed. The fundamentals are one thing but how the market responds to those fundamentals is ultimately what matters. Fundamentals alone don't drive stock prices. Market participants reaction to those fundamentals drive stock prices. For example, if shorts don't see the market go down they'd need to cover which can cause the market to go up on bad news. If it happens that would be a bullish sign of bad news-good action. That would be a case that despite bad news the market couldn't go down which could cause buying follow through. For earnings events, the fundamentals are the over-riding driver to stock moves that day which is why we speak to so many tech companies to try and understand an individual company's most important driver, earnings. But for markets there are so many influencing factors and investors positioning. We want to understand what the sum total of all of those decisions are saying by watching the trend and reaction to the news. By watching what the trend is and how the market consumes all that fundamental data you start to see what the market wants to do. When you get bad news like a trade war and the market doesn't want to go down, in essence it may be telling you it wants to go the other way, higher. We're not there yet. 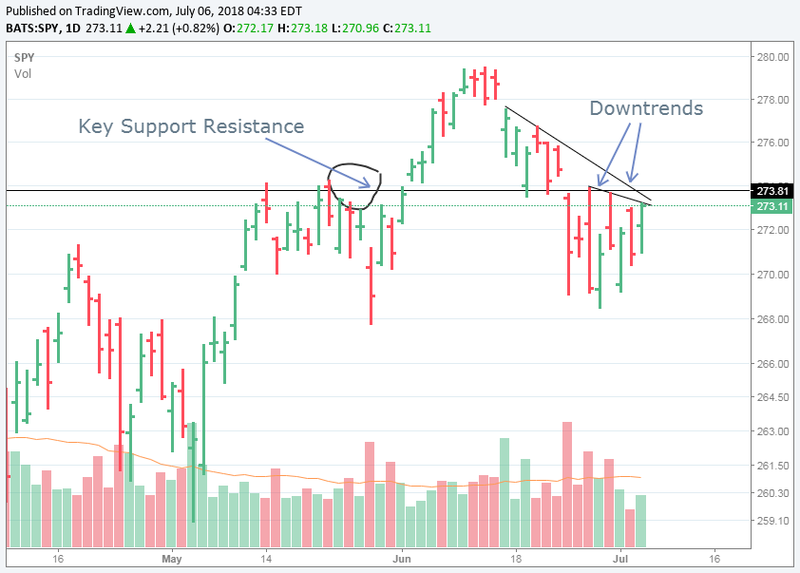 We still see those downtrends and that overhead resistance. But we want to always respect markets and the next few days are critical to see what the market wants to do. You may have a typo in the second paragraph. "The S&P 500 ETF SPY (NYSEARCA:SPY) closed yesterday just below July 25th's open when we turned cautious." Should that be "JUNE 25th's open"? Cheers.